Artfix's Universal Primed canvas is prepared by hand application of up to four layers of acrylic primer and hand sanding. The ground replicates the characteristics of oil primed canvas, yet it has the durability and elasticity of acrylic primer. Medium texture linen is very strong, with a tight weave. It can be used with any style of painting. 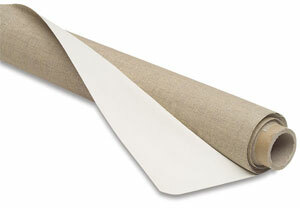 The texture is similar to that used in commercially available stretched linen canvases.  Artfix is a trademark.